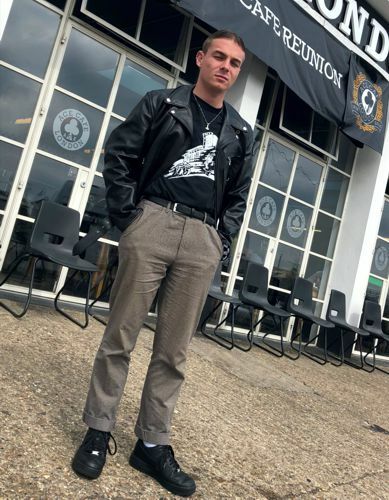 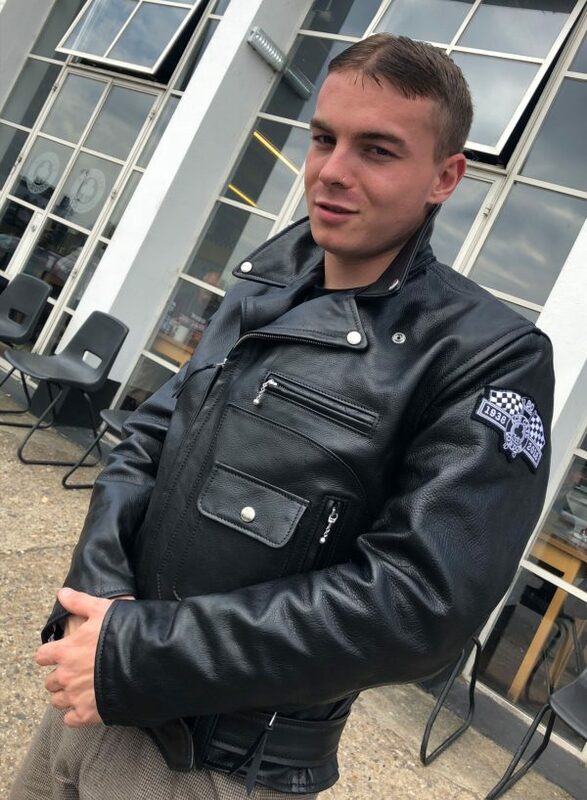 Worn by WW2 pilots, immortalised by Marlon Brando and of course adored by every rioting rocker in the 60’s – what would motorcycling be without the iconic Leather Jacket? 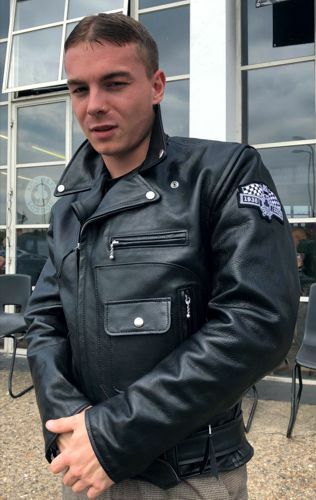 To celebrate our heritage, we introduce the Ace Cafe Rocker jacket – designed in partnership with Aero Leather Clothing and made from Vicenza Italian horsehide in black leather, this jacket features an exclusive Ace Cafe London 80th anniversary patch as well as a matching racing checkerboard lining. 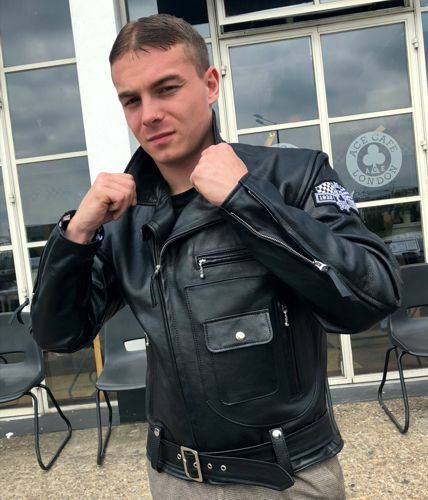 The snap-closing wind collar keeps you warm whilst navigating the twists and turns of the North Circular Road alongside adjustable sleeve zips with leather gussets. 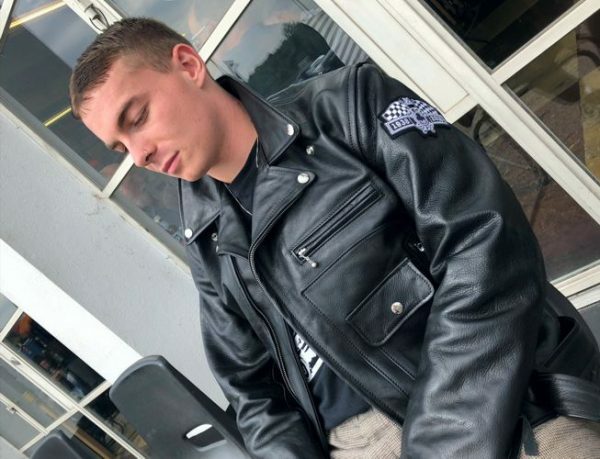 Finally, the jacket also features a ‘D’ pocket on the front and a full-length belt which can be tapered to your exact size. 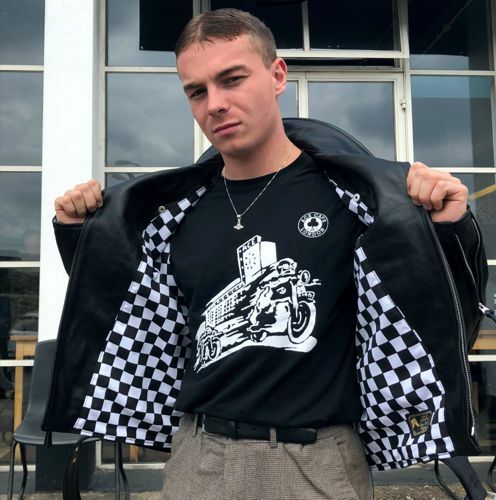 This jacket is a must-have for Ace Cafe fans everywhere who want to celebrate cafe racing in style.